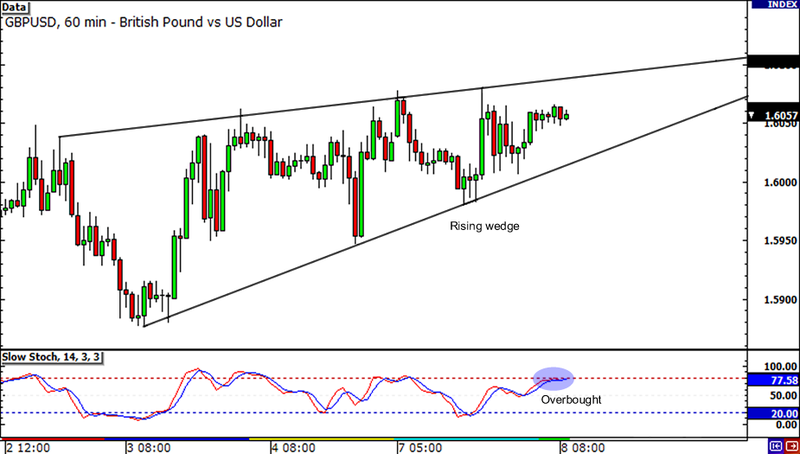 If you like trading the pound and are looking for some action, then you might want to take a look at the rising wedge on GBP/USD‘s 1-hour chart. The pair had been bouncing on a tight range since yesterday, but something tells me that it’s about to choose a clear direction. Will it break the resistance near the 1.6100 area, or will it drop below the 1.6000 support? Somebody call Happy Pip and tell her to hold her AUD/USD trade! 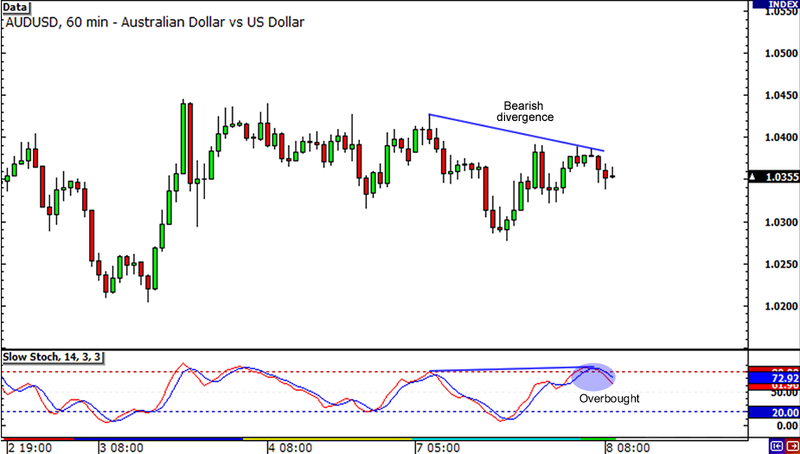 Based on the bearish divergence and the overbought Stochastic signal on the pair’s 1-hour chart, it looks like the Aussie is in for more losses. If you’re shorting this pair you can place your stop safely above the 1.0400 major resistance area and aim for either the 1.0300 or the 1.0200 levels. Be careful though, as a break in the 1.0400 resistance can take the pair all the way to the 1.0500 area. 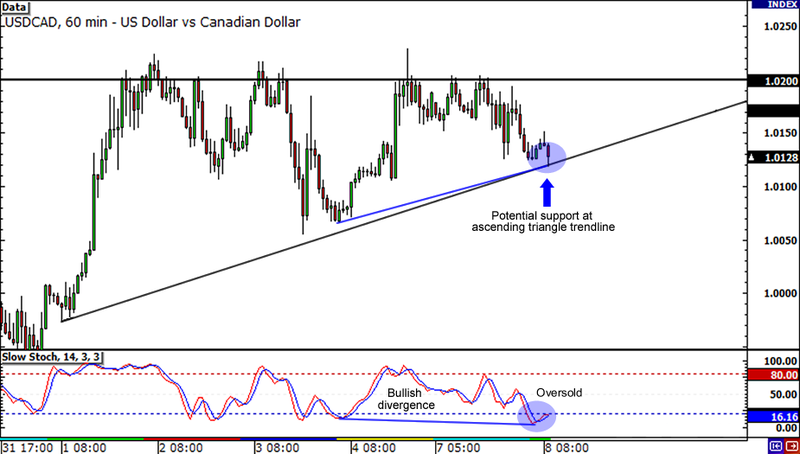 Last one up for today is a sweet ascending triangle setup on USD/CAD‘s 1-hour chart. The pair has been popping up higher lows since the start of the month, but keeps getting rejected at the 1.0200 handle. A bullish divergence and an oversold Stochastic signal are currently supporting a bullish trade, but the pair could still break the triangle to the downside as the School of Pipsology advises. In any case, make sure you got your stop losses in place when you trade this one!